Delegate Luke Torian is a community leader in Prince William County. He has played a major role in several organizations including Action in Community Through Service (ACTS), an organization designed to alleviate hunger, homelessness, and domestic violence in the community. He is one of the founders of Virginians Organized for Interfaith Community Engagement (VOICE), an organization dedicated to making change on social justice issues. He also served on the Cardinal Bank Advisory Board from 2000 to 2003. 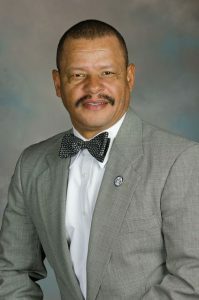 Delegate Torian earned his Bachelor of Arts degree in Political Science from Winston-Salem State University. He then continued his education by pursuing graduate studies at the Southeastern Baptist Theological Seminary, then earning a Masters of Divinity degree from the School of Theology at Virginia Union University. In 1987, Delegate Torian earned a Doctorate of Ministry Degree from the School of Divinity at Howard University. In 1997, he received the Prince William County Human Rights Commission Award for facilitating The Color of Fear, a dialogue on race relations. Delegate Torian has received Omega Psi Phi Fraternity, Inc.’s Citizen of The Year Award on two occasions. In 2003, Dr. John Maxwell, renowned expert in leadership development, selected Delegate Torian as one of 50 leaders from across the country to participate in a special leadership institute in Atlanta, GA. 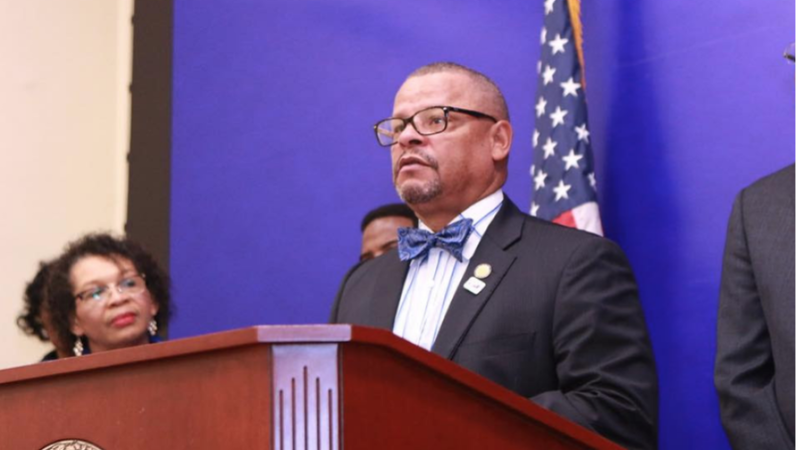 Delegate Torian currently serves as the Pastor of First Mount Zion Baptist Church in Dumfries. He has one daughter, and lives in Woodbridge with his wife Clarice who recently retired after 34 years in public education. Torian was born in Roxboro, North Carolina. He received a B.A. degree in political science from Winston-Salem State University in 1980. Training to become a Baptist minister, he received a master’s degree in divinity in 1984 from the School of Theology at Virginia Union University, and a doctorate in ministry from the Howard University School of Divinity in 1987. Torian worked for the Fellowship of Christian Athletes for eight years. He was pastor of Gilfield Baptist Church in Charles City County, Virginia 1990–1995. Since then, he has been pastor of First Mount Zion Baptist Church in Dumfries. If you have any questions for Luke Torian, send them to Virginia onAir at virginia@onair.cc. Virginia will first see if Luke Torian has answered your question somewhere else. If they haven't, Virginia will pass on your question to Luke Torian and post their answer, if they have one. If you have any suggestions for Luke Torian, especially if you are a current or former constituent, send them to Virginia onAir at virginia@onair.cc. Virginia will record your suggestions here. If you have something positive to say about Luke Torian and you are a Virginia onAir Hub member, send your recommendations to Virginia onAir at virginia@onair.cc.